Being with someone doesn't guarantee happiness. Finding your other half does. It doesn't matter how long you've been alone, how long you've hoped or how long you've waited. 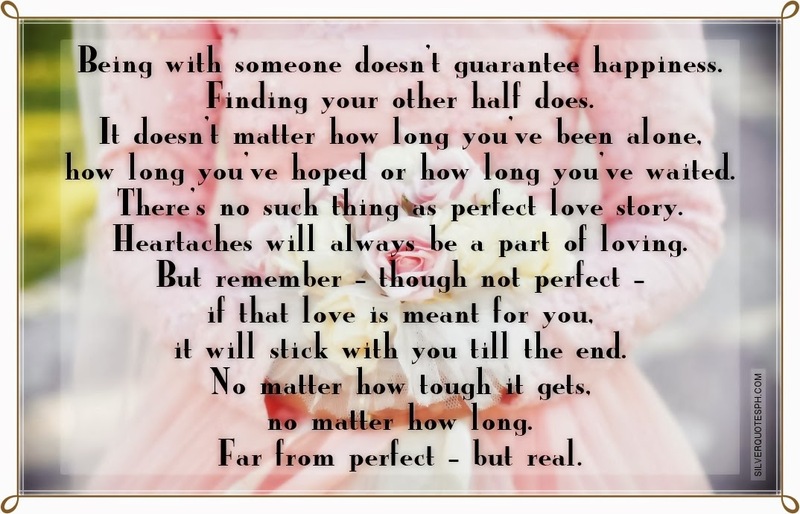 There's no such thing as perfect love story. Heartaches will always be a part of loving. But remember - though not perfect - if that love is meant for you, it will stick with you till the end. No matter how tough it gets, no matter how long. Far from perfect - but real.